Many patients in the US report fearing the dentist because of drills or shots or sensitive gag reflexes, but the number one reason people gave for fearing the dentist was financial strain. This may come as a surprise, but a significant portion of people fear they will be unable to finance dental treatment. Rather than visit the dentist, they avoid treatment until their oral health is in an advanced state of decline. However, research shows that patients who maintain dental checkups and teeth cleanings every six months, actually spend significantly less on dental care than those who only visit when oral health concerns arise. Your dental insurance company knows this too. That’s why they structure coverage to encourage preventive care over reactive care. 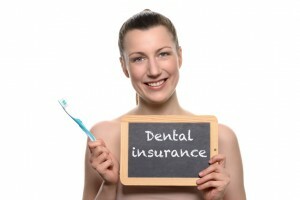 Insurance companies for medicine and dentistry rely on different cost saving techniques. In the medical insurance field, plans rely on patients not using benefits to cut costs. Medical coverage is “reactive.” A response to a serious health concern, and not something people need to use regularly. For instance, patients who have a cold might wait to seek treatment only if symptoms don’t get better on their own. In many medical cases, this is possible, and the benefit plan holders save money because people are less likely to seek out services frequently. In dental care, the opposite is true. Oral health concerns like tooth decay and gum disease are not reversible without treatment, but they are easily prevented with regular at home care and in-office visits. Most dental plans are considered “prepayment” plans not technically “insurance.” Insurance denotes a plan that is meant to be used infrequently, whereas dental benefit plans are most successful when patients do maintain frequent appointments. Most dental plans cover dental visits every six months at 100%. From there, coverage declines significantly the more serious the oral health concern because fewer and fewer people need these treatments. What is the long term impact? In many cases, foregoing treatment now, will only lead to a more costly procedure later. The more conservative the treatment, the more budget friendly. Stretching treatment out over two or three years is usually not the best idea. Even though there may be more of the annual maximum available, most of the time conditions worsen or new conditions occur which end up costing more in the long run. Is financing an option? At Long Family Dental, we offer flexible financing plans and work with CareCredit to offer patients payment plans that meet their needs within their budgets. Don’t put off your dental care for another day. Contact Long Family Dental. We work with you to develop a treatment plan that maximizes your dental benefits, and minimizes financial strain.